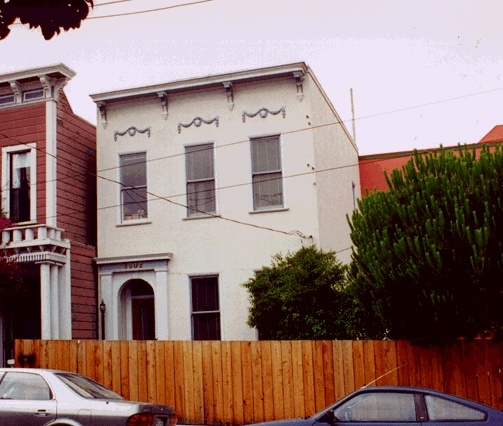 The building at 3502 24th St. may possibly be the "Old House" of the last Mexican Alcalde of Yerba Buena, José Noe. His son Miguel lived here well into the 1870s. 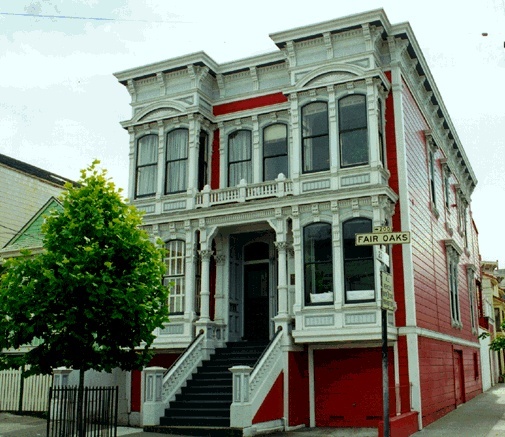 This red Victorian is the Oakley Residence at 200-202 Fair Oaks at 23rd. Built by William and Jennie Oakley in 1886, he was a bricklayer/contractor, and she a dressmaker.